Dodge the D, score a TD, kick the PAT. How high can you score? 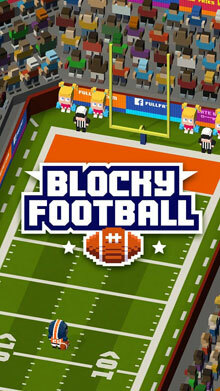 Blocky football – sport games free download – guide the funny football player through the whole field. Help him dodge the opposing team defenders and score a goal. Set football records. 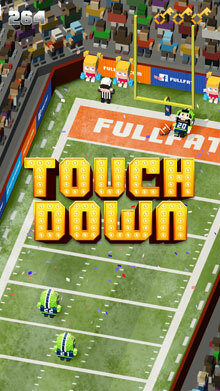 Rely on your incredible reflexes and win football matches in this fun game for Android. Win American football championship. Guide the attacker with the ball through the whole field and score a goal. 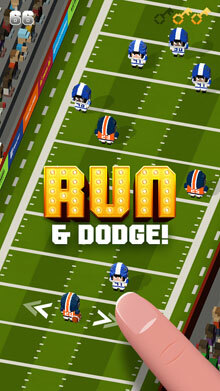 Move the player from side to side to avoid the rivals running towards you. 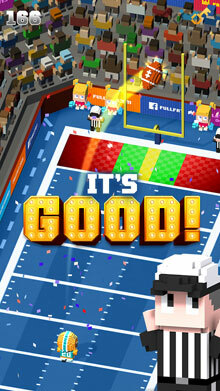 Score goals in bonus mini-games and get even more points. Unlock new heroes. – Retro style blocky graphics. – Different playing fields & weather effects. – Easy to play football fun.